Now 3 Packages to Choose From! 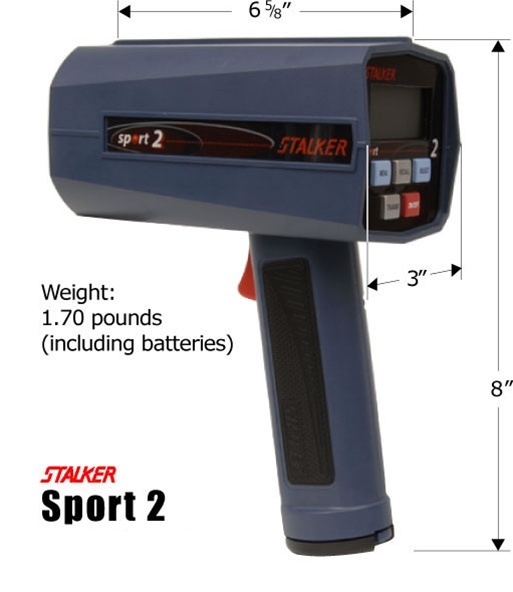 Includes Stalker Sport 2 radar, (6) AA (non-rechargeable) Alkaline batteries and Operators Manual in corrugated carry box. Includes Stalker Sport 2 radar, (6) AA NiMH (rechargeable) batteries, Wall charger and Operators Manual in corrugated carry box. Includes Stalker Sport 2 radar, (6) AA NiMH (rechargeable) batteries, Wall charger and Operators Manual in hard carrying case. Introducing the next generation Sports Radar! With the introduction of the Stalker Sport 2, the bar has been raised even higher, but not the price! Just how accurate is the new Sport 2, and how does it compare to the competition? 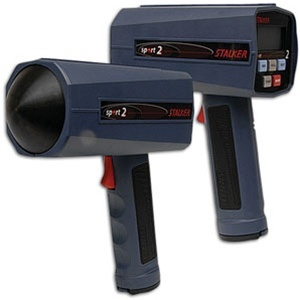 Most radar guns advertise "accurate to within +/- 1 to 3 mph." 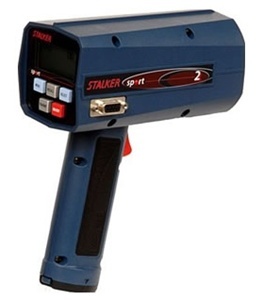 Stalker radar guns are accurate to within .1 (one-tenth) of a mile per hour (or km/h). And we know this because to find the answer, Stalker Radar conducted extensive testing to confirm the accuracy of the Sport 2 and compared it to competitors' radar guns.